Highly accurate small size collet chuck. Internal Taper: Jacobs JT1. Will fit a JT1 spindle nose or drill chuck arbor*. Oustide Diameter: 16mm (parallel shank). Will fit a 16mm collet or our tailstock turret system. 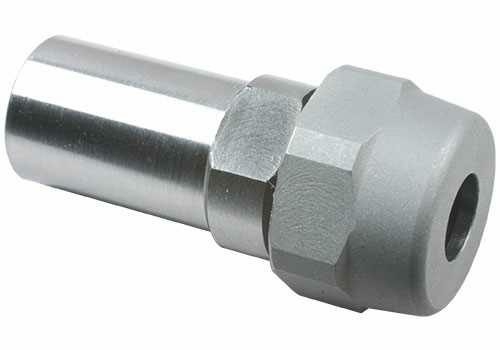 Collet Nut Hex Head: 22mm AF. * M4 security screw (supplied) is required for all milling applications when the collet chuck is fitted to a JT1 Taper.